President Trump has recently proposed much needed changes involving Required Minimum Distributions (RMDs) from IRAs. 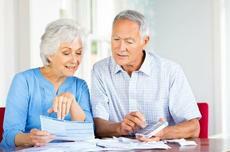 The proposal, if passed, will extend the age in which a retiree must begin to take withdrawals. At present, RMDs must begin on April 1st following the year in which a participant turns 70 ½. President Trump’s executive order directs the Treasury Department to study the rules for required minimum distributions (RMDs), possibly easing the burden for those retirees turning 70 ½ who may not need those extra distributions at that point in their life. With life expectancy changing, those distributions may be needed at a later date. The executive order also calls for the revision of the required minimum distribution mortality and life expectancy tables. The life expectancy tables were last updated in 2002, when life expectancy was just age 77. We are living longer and spending more years in retirement, thus needing our IRA money to sustain us longer. While this is big news for retirees of all ages, we have to realize that this study will be a time consuming and politically controversial task. Under current rules, once distributions are required to begin, the amount of this required distribution is calculated by taking the account balance of the participant’s existing account at year-end and dividing by a distribution period derived from the mortality table. Generally, the Uniform Lifetime Table will be used, except if a participant is married to a spouse more than 10 years their junior, in which case the applicable life expectancy will be derived from the Joint and Last Survivor Table. During a participant’s lifetime, once distributions have begun, they are to be recalculated each year based on the new account balance and the participants new age. Even incremental changes to the mortality tables can have significant impacts on the size of a required distribution. As of right now, the magnitude of the changes to the mortality table is unknown. Depending on the size of the changes, they could have a major impact on the amount of required distributions that retirees are obligated to take from their IRA accounts which will be a potential boon to those retirees who desire to further reduce required distributions and their tax burden. Extending the age for RMDs would allow many investors to manage and reduce their tax bills, invest longer and pass more or even all of their qualified money on to beneficiaries. RMDs often push participants into higher tax brackets. Another facet of this executive order deals with ways to make it easier for small businesses to offer retirement plans to employees. As noted by the Trump administration in 2017, roughly 89% of workers at private-sector establishments with 500 or more workers were offered a retirement plan as compared to only 53% of workers at private-sector establishments with fewer than 100 workers. This leaves a lot of workers with no retirement plan at all. Small business owners say they find it too costly and complicated to offer retirement plans on their own. The idea is to help firms band together to set up what are called Multiple-Employer Plans or MEPS. With defined benefit or pension plans near extinction, all of these changes are critical to help the average worker prepare for retirement and help the retiree preserve their retirement savings to last as long as they and their spouse may live. How long will this process take? If the study remains in the Treasury Department, it could take years, but changes could come much faster if it is taken up by Congress. This is definitely a study that we will monitor. Stay tuned as updates occur. We will try to keep them posted.